I have purchased some (pencil see bits) - not sure if thats what they are called but I will go with it for now (1st image) and I had a friend give me a set of these rotary type bits for carving or engraving I guess (2nd image). I am wanting to enter them into my library and want to make sure that they are specified correctly. Of course I am a newbie here and trying to take in all the info I can get. I purchased the one set on Amazon and the packaging is in Chinese or something. I got them to mess around with engraving. Any help of course would be greatly appreciated. The first image is listed as 30 degree bit with a .1mm tip. 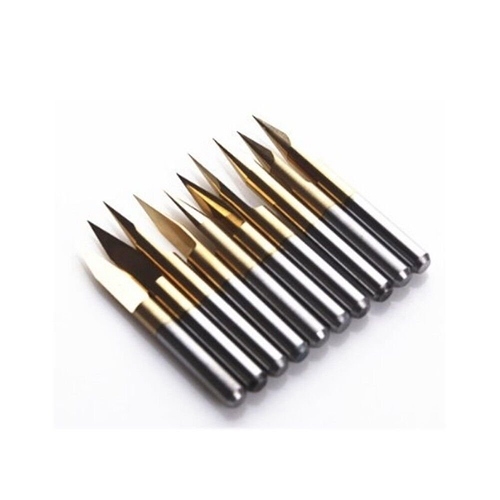 and the second image has this on the package (1/8 tungsten carbide rotary file bits). I am of course using the preloaded bits in the library now because being so green I am thankful for the preloaded feeds and speeds that CC has done for me, but when I enter these it doesn’t, hence my concern on making sure they are right. Thanks again in advance for any and all help, and thanks for a great community! I have learned so much from reading everyones post and looking at the images. Be very careful putting these in a “pencil” sharpener. They are easy to add to the CC Library (Engraving), but a 1/8 lollypop cutter can be used in place of the 1/8 ball (as far as CC is concerned (#101), but I think you are out of luck trying to add the odd cutters. 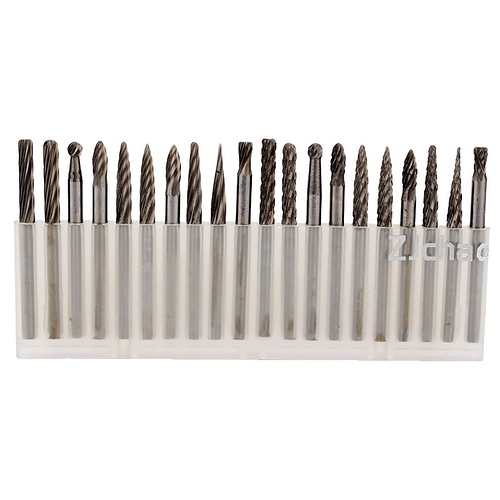 The 1/8 (I assume they are 1/8 dia from the photo) can be programmed using the 1/8" flat (#102) end mill. Meaning the diameter is what is important. 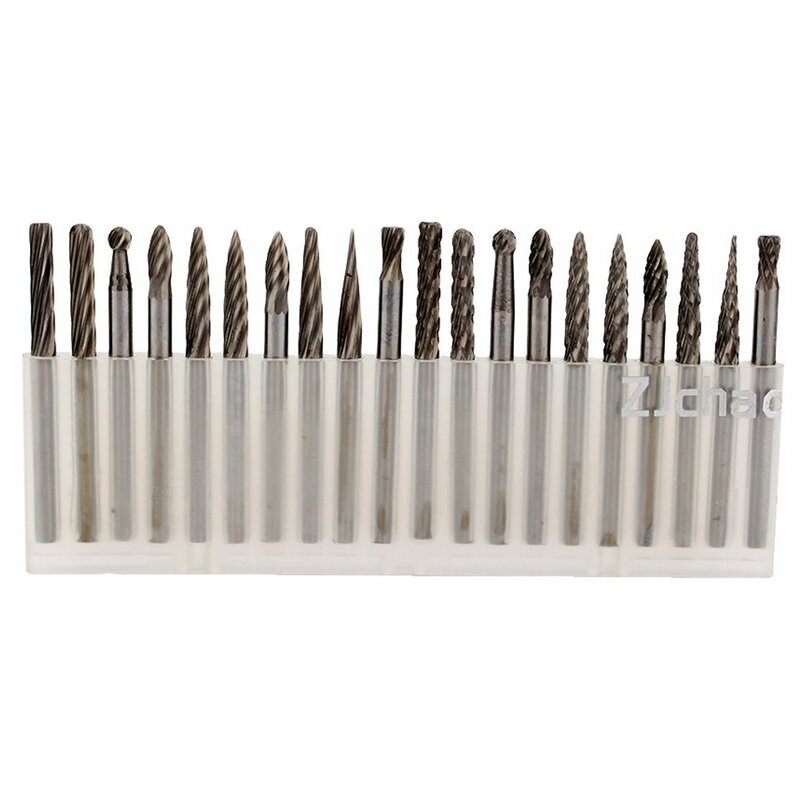 When I use taper (Flat or ball) taper end mills, I only care about the point, and tell CC that it is (as an example) a 0.010 flat end mill when I add it to the library (It’s not 100% accurate, but has worked for me for the last 2 1/2 years.